Plus Dragon Ball Super: Broly has a super six days and Bohemian Rhapsody edges closer to $800 million worldwide on weekend of January 18-21. 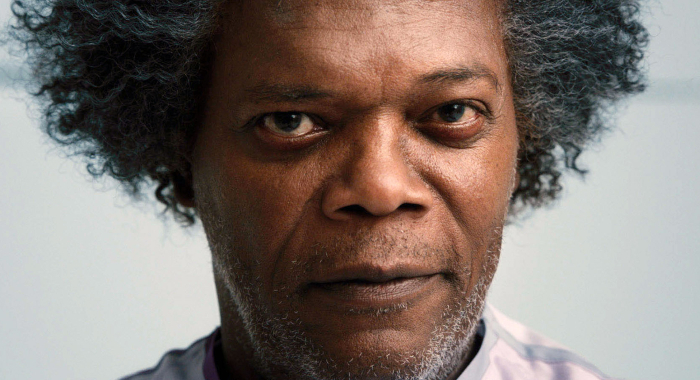 M. Night Shyamalan’s highly anticipated Glass may not be blowing away the critics, but audiences still showed up for the director on the Martin Luther King Jr. Day holiday weekend. Will they stick with the film over the coming low-competition weeks? Let’s look at the numbers. With an estimated take of $47 million over the four-day MLK holiday, Glass just missed besting the $48.6 million that Ride Along made on the same weekend back in 2014. (American Sniper is still the highest grosser over this weekend with $107.2 million in 2015.) How does the Glass opening compare to the director’s other hits? Shyamalan’s Signs opened to $60.1 million in 2002; The Village opened with $50.7 million two years later. The audience response to that film – a final gross just 2.25 times its opening – appeared to be the beginning of the decline for the filmmaker once dubbed “the next Spielberg.” Total grosses continued to fall with Lady in the Water ($42.2 million) and The Happening ($64.5 million). 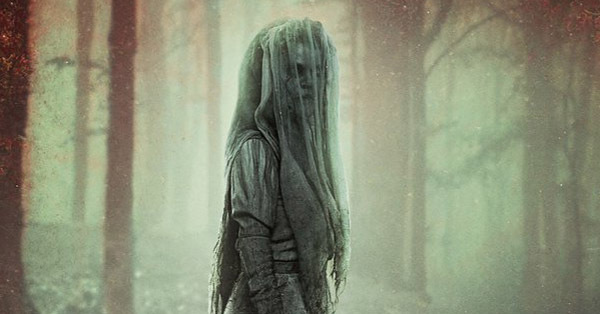 Big-budget bombs like The Last Airbender and After Earth came next, and it looked like it might be over the man friends call “Night.” Enter Blumhouse Productions. Working with smaller budgets seemed to give Shyamalan new life. After The Visit was a moderate hit, he had one of the biggest financial successes of his career with Split, which made almost $280 million globally and cost just $9 million to make. Given anticipation for Glass, it felt certain it would beat Split‘s Friday-to-Sunday opening back in 2017, and it did, but only by $575,025 with Sunday totals boosted by the holiday. By all accounts Glass should become just the sixth true January opener ever to reach $100 million (the other 14 films to earn over $100 million from a “January” launch either began limited runs in December or were a special edition of Star Wars.) 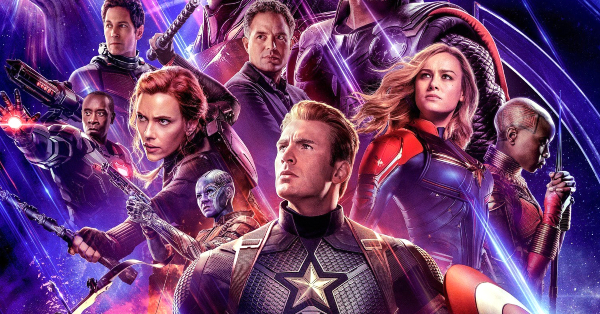 The film may still be able to pull a three-week run atop the box office, but those weekend-winning numbers could be in the low teens by then – and poor reviews won’t help (the movie is at 36% on the Tomatometer). If Miss Bala somehow manages to beat it on February 1, it may be a sign that fans are starting to turn on the filmmaker again. If The Kid Who Would Be King can somehow get over $16 million, it could be taken down this coming weekend. FUNimation is one of the premier distributors of anime on the home entertainment market, but it has had some notable theatrical releases over the past four years, like Shin Godzilla (85%) and Your Name (97%), which have caught the attention of critics as well. This week they can celebrate their biggest box office success to date: Dragon Ball Super: Broly opened on Wednesday with $7.04 million in just 1,440 theaters (including 180 IMAX venues). No only is that more than Unbreakable made on its opening Wednesday before Thanksgiving ($6.8 million), but only three films since 2000 have begun their run in 1,400-1,500 theaters and grossed over $7 million. And they did it in a weekend. They were Tyler Perry’s Diary of a Mad Black Woman ($21.9 million), Breach ($10.5 million), and Nurse Betty ($7.14 million). 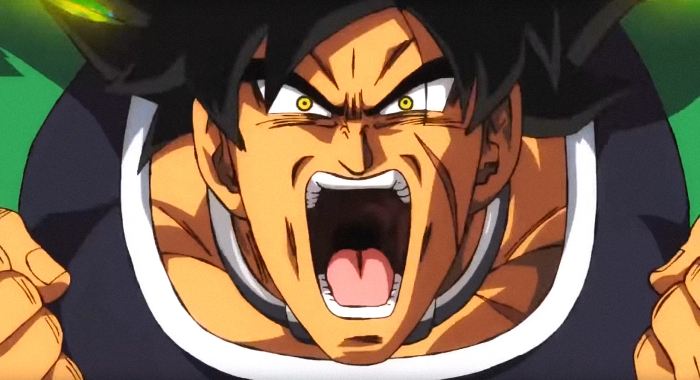 Broly added $9.7 million over the three-day weekend and an estimated $11.4 million over the holiday for a total of $21.9 million. FUNimation’s highest-grossing film before this weekend was Dragon Ball Z: Resurrection ‘F’ which made just over $8 million total in 2015. Last week’s no. 1 film, The Upside, is turning into a real story for STX Films. With just a 26% drop this weekend, plus nothing on the hook besides its advertising and whatever was spent to pry it away from Harvey Weinstein, the film is headed towards being their second biggest success after Bad Moms. 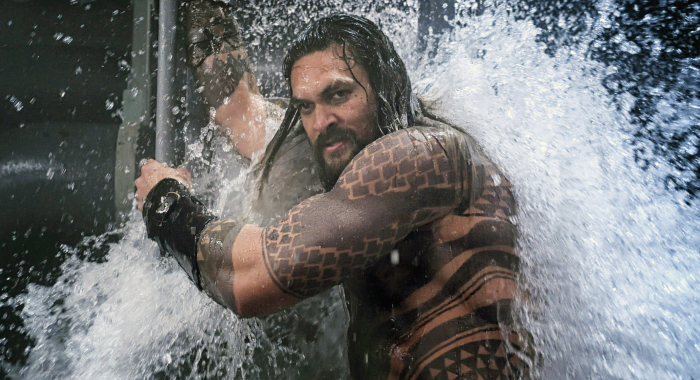 Aquaman passed the $300 million mark domestically this weekend but, more importantly, is now the 27th all-time earner worldwide and is poised to be the highest-grossing film based on a DC property ever when it passes The Dark Knight Rises. Over on the Marvel side, Spider-Man Into the Spider-Verse has also crossed the $300 million line worldwide. It has also leapfrogged Mary Poppins Returns in domestic dollars, which also just crossed the global $300 million threshold. Bumblebee is besting both of them on that front with over $413 million, which is still $187 million less than Transformers: The Last Knight (though it still has a shot to beat that film’s domestic total). Finally, this week Bohemian Rhapsody will be passing two huge and unexpected milestones: The movie reached $200 million here at home this weekend and later this week it will hit $800 million worldwide. 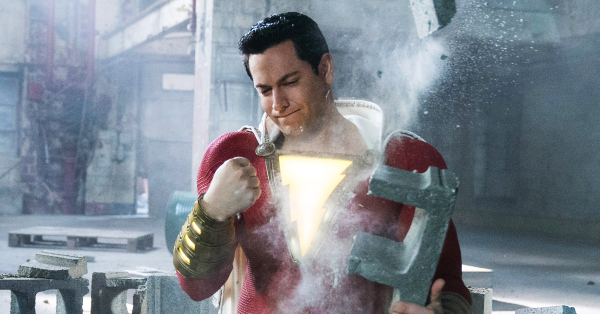 That makes it the seventh highest-grossing film of 2018 behind four comic book films and two sequels. An extraordinary accomplishment ahead of likely Oscar nominations this Tuesday. 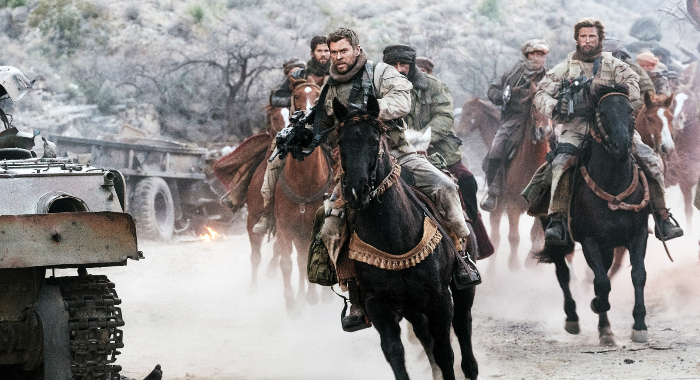 It was all about the machismo last year as military actioner 12 Strong narrowly defeated cops-and-robbers film Den of Thieves $15.8 million to $15.2 million among the weekend’s newcomers. 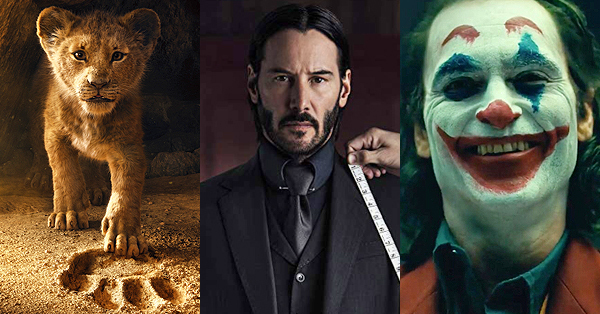 Neither number was strong enough to beat Jumanji: Welcome to the Jungle which held onto the no. 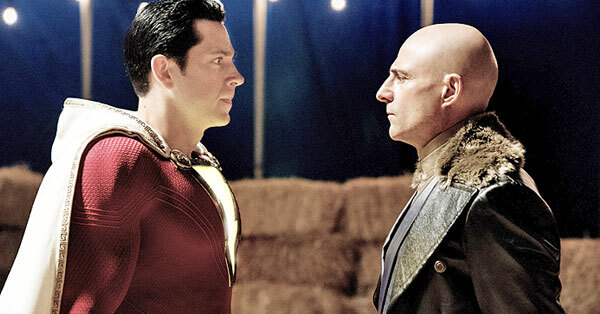 1 spot for a third straight week as it crossed the $300 million mark. On the same weekend, Star Wars: The Last Jedi was passing $600 million, Coco got over $200 million, and Pitch Perfect 3 reached $100 million. The young-adult drama, Forever My Girl, barely made the top 10 with $4.2 million. The top 10 films last year grossed $104.1 million and averaged 61.7% on the Tomatometer. This year’s top 10 grossed an estimated $109.7 million from Friday-to-Sunday and averaged 66.7%. 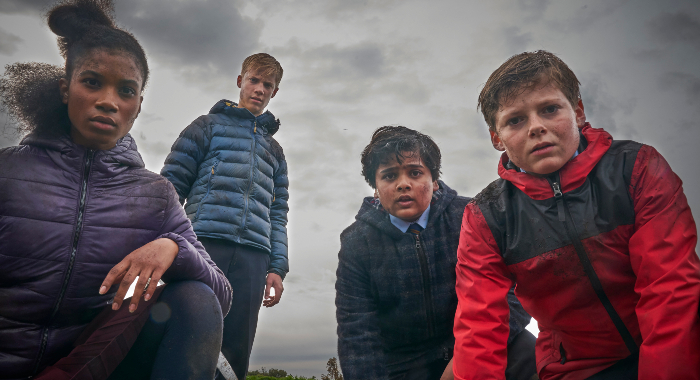 Attack the Block director Joe Cornish returns to theaters for the first time in eight years with The Kid Who Would Be King, a new riff on the Arthurian legend that is currently at a healthy 87% on the Tomatometer. Locke director Steven Knight returns after six years with the mysterious noir, Serenity, with Interstellar co-stars Matthew McConaughey and Anne Hathaway. Neither are expected to challenge Glass during its second weekend. Erik Childress can be heard each week evaluating box office on WGN Radio with Nick Digilio as well as on Business First AM with Angela Miles and his Movie Madness Podcast.